Isn't this fun? 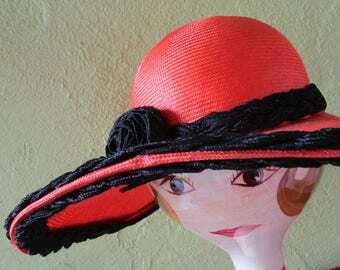 Super multi colored bright wide brim sun coolie hat. 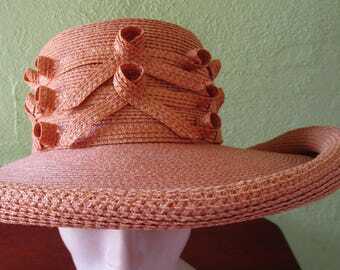 Big raffia pompoms cover natural straw hat with chevron woven design. Hand sewn pompoms in sunset colors. Bias yellow woven to tie under chin. Beach, vaca, Hukilau, Hawaiian pool party ready. 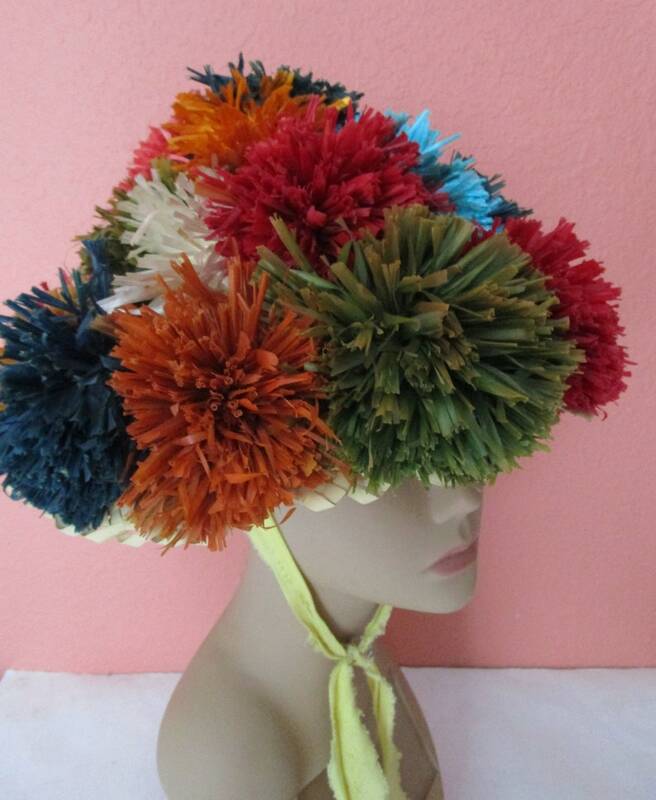 Condition: Very good vintage condition, some breakage on edge, doesn't show under pompoms, slight misshape, Fray tie. See photos. Size: will fit all sizes. Measures 13" inside diameter side to side. 10" tall crown height.